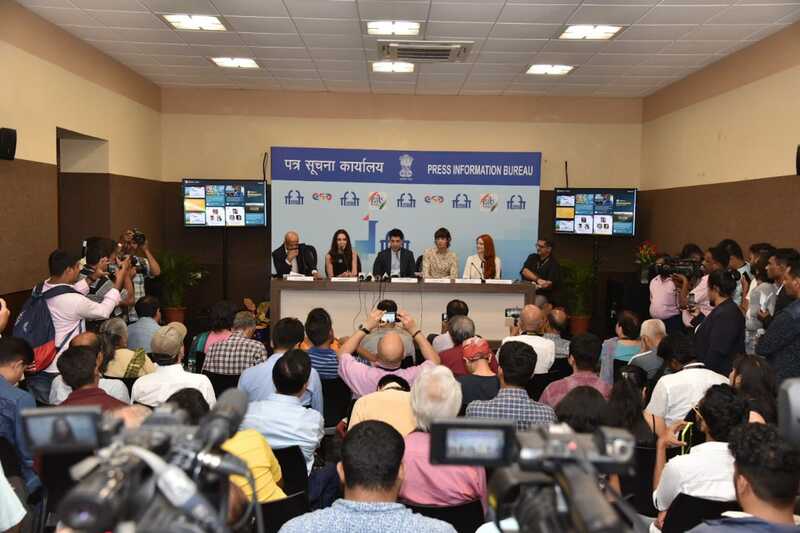 As cine lovers await with bated breath for the official opening of the 49th International Film Festival of India (IFFI), the international star cast and crew of the opening film of the festival – ‘The Aspern papers’ –made their presence felt at the press conference held this evening by IFFI. From among the cast and crew of the film, Mr. Julien Landais (Director) was present with his actors Mr. Nicolas Hau, MsBarbara Meier and MsLois Robbins. The Aspern Papers tells a story of obsession, grandeur lost and dreams of Byronic adventures. The film is an adaptation of a famous novella by Henry James based on the letters Percy Bysshe Shelley wrote to Mary Shelley’s stepsister Claire Clairmont. The film stars Golden Globe winner Mr.Jonathan Rhys Meyers (lead actor), Golden Globe-nominated actress Ms.Joely Richardson (lead actress), her mother – six time Oscar nominee and Academy Award winner Vanessa Redgrave, Ms. Julia Robins (actress), Ms.Morgane Polanski (actress ) – daughter of Roman Polanski, and Mr. Nicolas Hau(actor).